The Beer Circle » Shenanigans » Introducing: The Bud Circle! We come to you this day with incredibly exciting news: The Beer Circle has finally obtained full-time sponsorship! 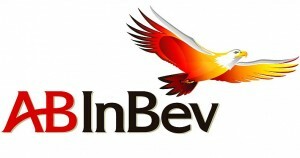 As such, we have been asked to rename our site, and you can expect to see almost exclusively reviews of cool, refreshing Budweiser and Anheuser-Busch/AB-InBev products, available at nearly all major retailers and beer distributors nationwide at excellent prices. You should also expect to see more frequent postings, as this sponsorship deal has proven lucrative enough for each of the staff to abandon their full-time employment to spend more time on the site, spreading the word about these fantastic beers. So, kick back, Grab some Buds™, and check out some of our newest sponsored content. Last updated by Garrett Miller at April 2, 2013 .